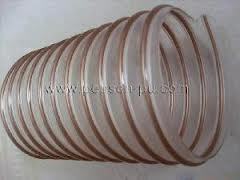 We are a leading Manufacturer of p.u flexible pipes, steel wire reinforced flexible pipe, silicone hose pipe, pu flexible pipes, polyurethane hose pipe and flexible conduit pipe from Delhi, India. 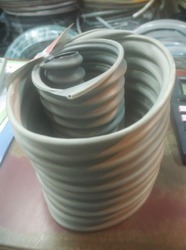 Silicone Hose Pipe offered comprise flexible hose pipes that find usage for very high temperatures. 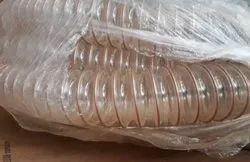 These are made using superior grade silicone coated glass-fiber fabric which comes with inner hidden steel spring spiral as well as outer glass fiber cord. 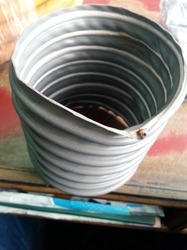 These pipes are also recognized for good flow characteristics because of additional interior lining and can be laid in closest areas. The other benefits of these pipes include high flexibility, light weight finish, double layer and single layer construction. Polyurethane Hose Pipe offered comprise high temperature flexible pipes that cone with superior suction/delivery capabilities. These are made using abrasion resistant Polyurethane that provides in these pipes properties like light in weight, high flexibility, superior tensile and abrasion strengths and ultimate elongation. Further, these are also free of softeners, are cadmium free as well as offer excellent elasticity, thus making these suitable for transportation of light solids, air & gas, food grade material and pharmaceuticals industries. 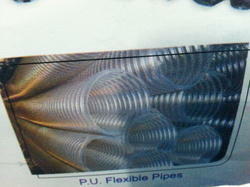 Looking for PVC Flexible Duct Pipes ?